Switchcraft's DIN 5-Pin Cable Mount Connector is a cord plug with a shielded barrel or insulated snaplock plastic body. Two piece metal barrel surrounds pin insert to form an electrical shield. The entire insert assembly is held together by snapping the insulated plastic shell over the assembly. The barrel's special metal tab locks the shell in place. Standard color of plastic shell is gray. This cable is an all-purpose cable clamp. 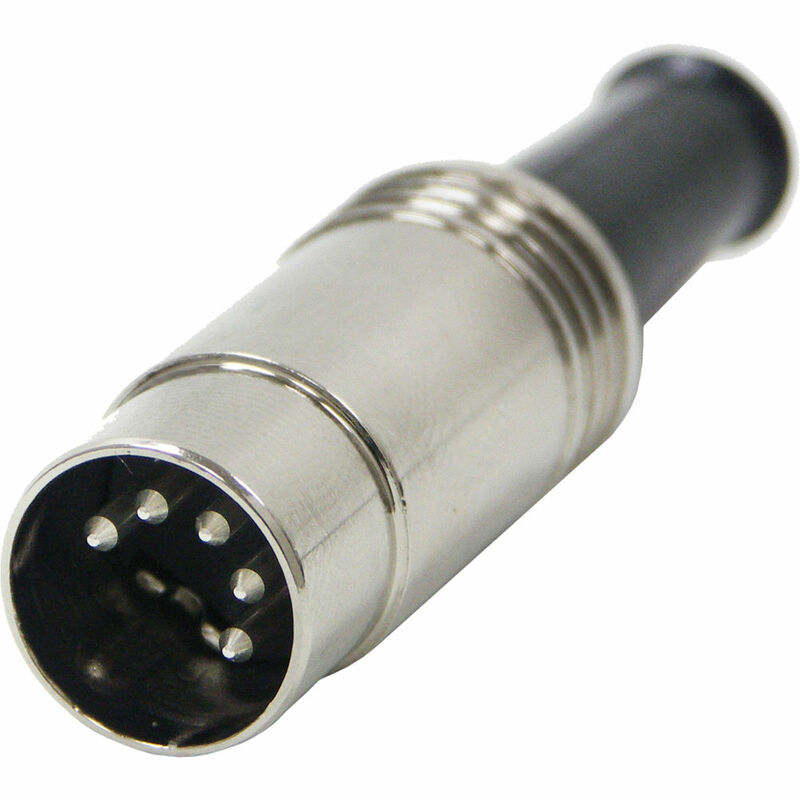 Contact Resistance Cord Plugs and Receptacles; .010 ohms, contact spring/pin .030 ohms, ground clip/shell. Control and Switching Receptacles; .015 ohms, contact spring/pin; .020 ohms, switch contacts. Box Dimensions (LxWxH) 5.0 x 2.0 x 0.2"